Home > Marathan > Nicole is counting down the days until the Virgin Money London Marathon! Nicole is counting down the days until the Virgin Money London Marathon! 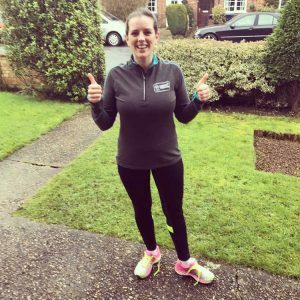 With the London Marathon well and truly in sight, Nicole Hanna, one of our Team Starfish runners gives us an update on how she’s preparing! So I can hardly believe that in just over six weeks time I will be running the London marathon, something I have always dreamt of doing. My interest started many years ago from my dad who has always been a runner. He ran the London marathon twice and several other marathons but it was London that had always inspired me. I lived in London for many years and would always go and watch, it was one of my favourite days. Watching all those amazing people who have basically given up their lives to run a marathon! Every year I said to myself ‘ I will do this one year’. Well this is ‘ My Year’ I can’t wait. 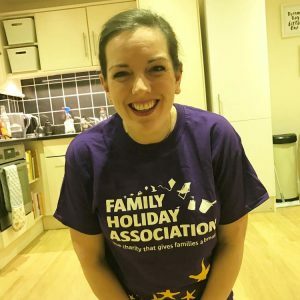 So why did I choose the Family Holiday Association? I have been in the travel industry for over 20 years and work for Kuoni who I’m very proud of. I’ve always had a passion for holidays, whether it be 2 weeks in the Indian Ocean or 2 nights in Dorset they both mean equally as much. I live for my holidays and couldn’t imagine my life without them. My daughter Betsy was born 3 years ago and we have been incredibly lucky to share many holidays together in her short little life. 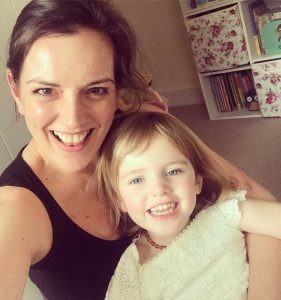 We’ve spent quality time together just me and her, away from work, the stresses of day to day life just mummy and daughter. I can’t imagine not having holidays and time away to create memories to last a lifetime. I often look back at photos of particular trips and smile when I remember how I felt at that time. I’m very fortunate but so many people aren’t. This is why I love the family holiday association so much. This couldn’t be a better charity for me to run for and there couldn’t be one that I feel more passionate about. If I can help a less fortunate family have a break together in the UK, then I would be extremely happy. So how’s the training going? It’s tough!! I’m not going to lie it’s a challenge! It takes over your life and it takes serious dedication! But I have to say I am really enjoying it! I’m following a beginner’s marathon training plan and currently 10 weeks in and up to 15 miles. Who would have thought it! My dad is my coach, he’s out on his bike with me on my long runs and there pushing and encouraging me every step of the way! I’m starting to feel very excited but also the nerves are kicking in a little too! All I keep imagining is running or more likely hobbling up the mall at the end of the 26.2 miles and feeling incredibly proud of what I’ve achieved. The fundraising is going well so far, I can’t get over how kind and generous people have been. It’s a wonderful charity and I know that I will not have a problem reaching my target. I’m excited to meet the starfish team and feel very proud to be part of such an amazing team! Bring on the 23rd April!